Miles cheaper than anyone else i tried , ordered and received within 24hrs. Good price, excellent delivery time and battery performs to my needs. I ordered late, 16.00 battery was with me next day by 13.00. Well packed to match a heavy item. Price very reasonable, will use again if I am in need of a battery, excellent service. Excellent service. Battery was a very low price - even including the delivery charge it was considerably lower in price than anything I could find locally. It was delivered the next day which was really helpful and better than I had expected given the time I put the order in. It was very well packaged, properly sealed and ready for action after I had followed the simple but well explained instructions for making it ready. A real 5 star service - I will be using them again for future battery needs. The battery seems to be very well made, they both arrived very well packaged and with clear instructions. 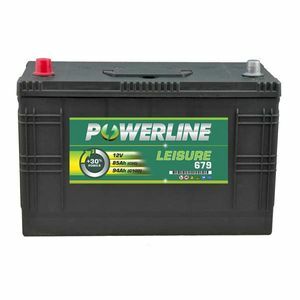 I have only done minimal testing so far so can't comment on reliability etc, but I hope that with regular maintenance to achieve good performance as per the other reviews for this particular battery. Great service. It is my 3rd battery, always arrive to France 2 days after placing the order. I cannot rate the product yet. Great product and great service from a company I will defintely be using again. The battery is holding a full charge, fully services my motor home and is in great condition unlike the vastly expensive and overrated Banner leisure battery it replaced. BANNER batteries and their customer service are a joke, AVOID, AVOID, AVOID.